We love chai - chai tea, chai lattes, chai coffee, chai ice cream, chai cake. The list of drinks, snacks, and things you can bake with chai is endless and mouthwatering. However - brief history lesson - the word chai really just refers to tea. Masala is the spice that we've come to know and adore. 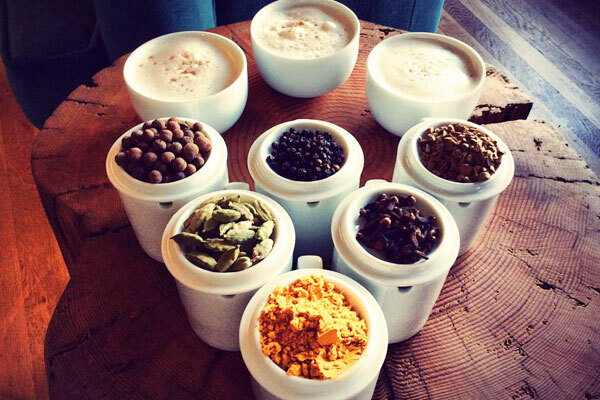 If you were to travel to India, the origin of that chai latte, it is referred to as a masala chai, or spiced tea. Before the tea trades began, kada was a traditional concoction of healing spices and herbs that was sipped on in India. Once trade routes began to open up, both tea and milk became popular, and the three came together in beautiful harmony. 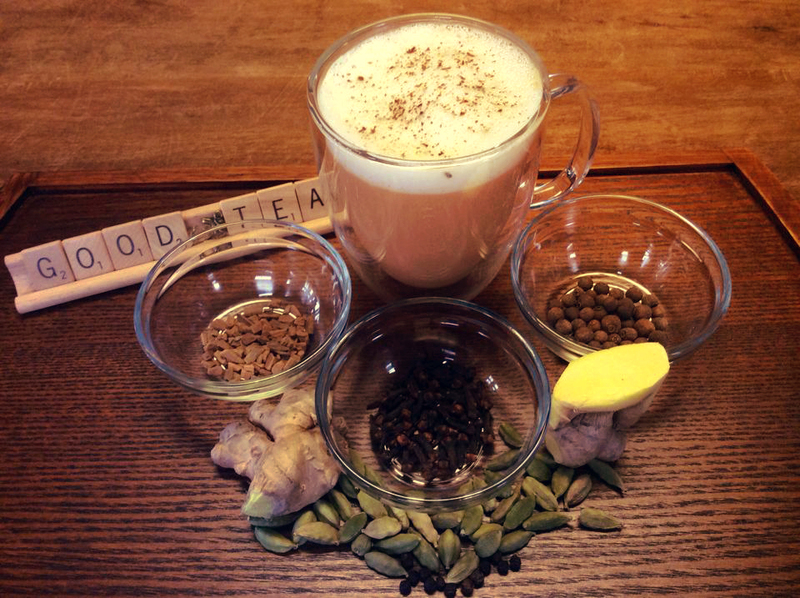 That origin is the route Good Medicine has taken for our special house chai, focusing on a base that will nourish you and your loved ones. 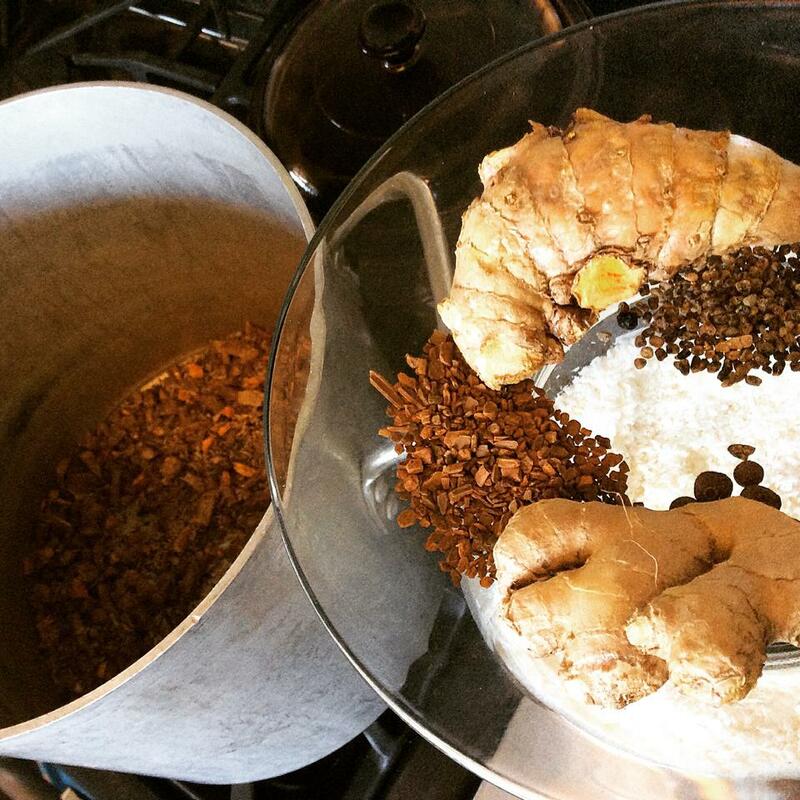 Making chai is an art...feel free to play around with our base once you've made it! We love adding golden paste, matcha, chocolate, or cacao as we mix our base into latte form. Freeze it in ice cubes for an easy way to spice up your drinks. Let us know what you come up with, and check out our loose leaf chai teas for a perfect present for the chai lovers in your life! -Grind cinnamon, cardamom, allspice, cloves, black pepper together in herb grinder. -Over medium/low heat, dry cook all the dry ingredients including the ginger and turmeric. Stir frequently, cooking until well- mixed and very fragrant- approx 5 minutes. - Add water to dry ingredients. Bring to a boil, reduce heat and simmer for up to 2 hours. Combine ingredients into a warmer or small pot on the stove. Steam.